EuroKids International Ltd is the largest education services provider in the Pre-School segment and one of Indiaâ€™s largest childrenâ€™s book publishing companies. EuroKids specialises in early childhood education, preschool programs and our commitment to the cause has made us the leading provider of Pre-School education in India. We have achieved this distinction both in the number of Pre-Schools we operate and the number of students we serve. in 311 towns and cities across India. 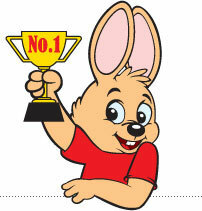 Our franchise model is one of the most successful models working for preschools in India. Since 2001, our first groups of Pre-School children have grown and many of their parents made clear to us their expectation that EuroKids should develop further, with their children, into a new environment. EuroSchool has taken birth out of that expectation. With thirteen operational primary and secondary schools and four more slated to start off by June 2010, EuroSchool aims to launch 30 more schools by 2012. EuroBooks, a division of EuroKids International Ltd is a leader in the childrenâ€™s book segment in India.This division has brought many internationally recognised brands like Noddy, Barbie and several others into the homes of the Indian Children. EuroKids has thus made a mark in the education space in a big way.